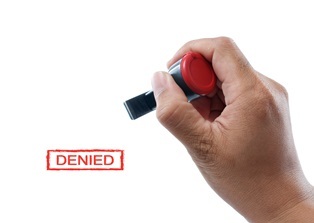 What Can I Do If My Workers’ Compensation Claim Is Denied? | Pothitakis Law Firm, P.C. What Can I Do If My Workers’ Compensation Claim Is Denied? Thousands of workers’ compensation claims are filed in Iowa every year, with many injured employees able to obtain benefits fairly easily. However, there are also often claims that are denied or compensated unfairly. As a result, injured workers and their families may face a difficult time—physical pain, financial hardship, and undue stress. Fortunately, Iowa employees do have options through the workers’ compensation system to appeal a decision they feel is not right. It is possible to dispute these and other reasons that employers and insurers offer when denying or reducing payments. Even if you are not sure if your claim can be appealed, don’t hesitate to reach out to an experienced attorney. A skilled legal team can help you understand your situation more fully and determine the best course of action going forward. There are ways to dispute a denial of benefits in Iowa. Many times, simply going back to the employer or insurance company can resolve the issue. The Iowa workers’ compensation commission encourages “free and open communication” between employee and employer. State data indicates that most workers’ compensation claims can be resolved in this manner; only about a quarter of cases escalated to official claims. Unfortunately, there are times when the dispute cannot be resolved, and the employee must pursue more official means. In Iowa, a worker can file a contested-case proceeding. The state advises injured employees to seek legal counsel if it is necessary to pursue this option, as the decision of the commission is binding and the members of the commission are prohibited from offering any advice. Contested case hearings can be lengthy; the most recent report from the Iowa Workplace Development office stated that the average case took 571 days to resolve, and the commission heard about 600 cases in 2015. In some cases, benefits are awarded, but they may not adequately cover your injury. It is again possible to appeal that decision to the state commission, similar to the denial of benefits entirely. Additionally, benefits decisions can heavily rely on the opinion of a doctor and his determination of your impairment rating. This rating is meant to reflect the degree of your disability, and compensation is awarded accordingly. If you feel the doctor selected by your employer is not appropriately addressing your injury, it is possible to request a second opinion. If you have suffered an injury at work and you were denied workers’ compensation benefits, or if your benefits are not adequate to cover your injury, the experienced attorneys at Pothitakis Law Firm may be able to help. Call our office today to learn more about your rights and how to obtain the maximum compensation. Previous PostPrevious Should I Seek Medical Care Using My Health Insurance After A Work Injury? Next PostNext What Should I Do If I Have Suffered A Work Injury?